Reward flipping expertise with this awesome trophy! 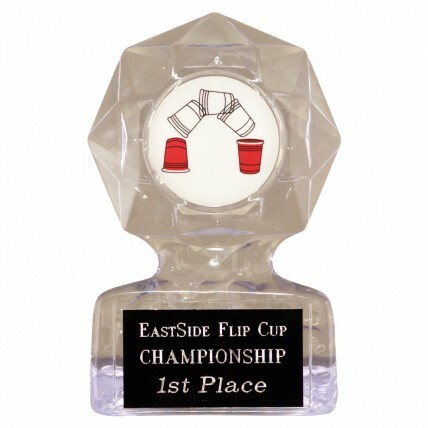 The Geometric Acrylic Flip-Cup Trophy is perfect for tournaments and field days! 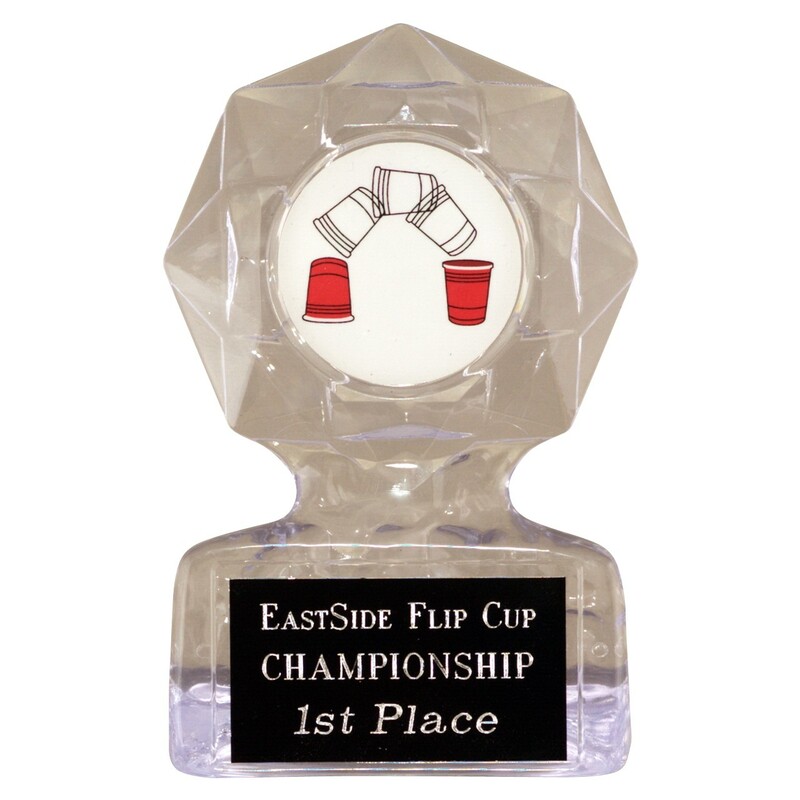 It features a clear acrylic star shaped trophy with a mylar insert depicting the act of cup flipping. Choose from two sizes and add your free engraving for an award that is sure to be the hit at your next event.